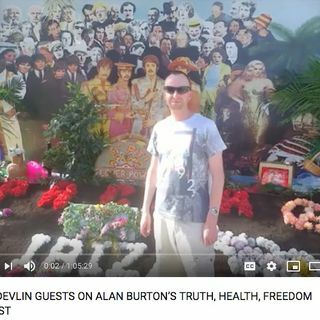 It was a very useful experience to guest on Alan Burton’s ‘Truth Health Freedom’ podcast recently, as he got me to delve into some spiritual and metaphysical areas as a welcome departure from the usual music industry material that I deal with. It was very much a soul-searching excursion. Here’s the resulting audio. Mark Devlin is the author of Musical Truth and Musical Truth 2, in which he exposes the dark forces that have been manipulating the mainstream popular music industry for ... See More decades. His findings on the music industry are covered in his countless other lectures and interviews so in this interview he focuses on how his research has affected his own spiritual beliefs and philosophy of life, and discusses how this has affected his day to day thinking and behaviour.